After years of squabbling over spending priorities, Democrats and Republicans in Congress have agreed on a two-year budget that gives both sides more of what they want. The budget deal gives Democrats a substantial boost in domestic spending and Republicans a sizable increase in military spending, all of which will raise the deficit by approximately $500 billion. The House and Senate are expected to pass the measure within hours. 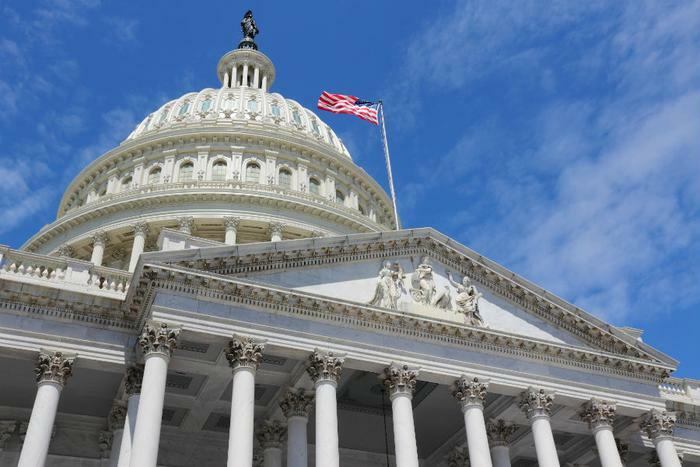 A two-year budget will remove the need for Congress to pass short-term spending authorizations -- the last one covered just three weeks -- which in the past have turned into showdowns between the two parties, with the threat of a government shutdown hanging in the balance. While bipartisan agreement is increasingly rare in Washington, the budget proposal coaxed Democrats to the table with massive increases in programs the party has long championed. Programs that fall under education, scientific research, health care, and infrastructure maintenance are getting cash infusions of 21 percent over current budget caps. Like most compromises, the budget deal isn't making everyone happy. Republican deficit hawks have denounced it for its expansion of red ink. Rep. Mo Brooks (R-Ala.) took to Twitter, calling it irresponsible. "In light of the danger posed by America’s massive debt & deficits, I won’t support the debt junkie’s spending deal & urge my debt addicted colleagues to reject fiscally irresponsible spending," Brooks wrote in a Tweet. Across the aisle, Democrats fumed that the measure did not address the legal status of children, many now young adults, brought to the U.S. by their parents who entered the country illegally. House Minority Leader Nancy Pelosi held the floor of the House for a modern record of eight hours in a speech demanding action. President Trump has expressed support for addressing the issue, and Majority Leader Mitch McConnell (R-Ky.) has promised a vote next week in the Senate. “This bill is the product of extensive negotiations among Congressional leaders and the White House," McConnell said on the floor of the Senate. "No one would suggest it is perfect. But we worked hard to find common ground and stay focused on serving the American people."